You are going to Watch Fairy Tail (Official Dub) Episode 15 English dubbed online free episodes with HQ / high quality. Stream Anime Fairy Tail (Official Dub) Episode 15 Online English dub Eternal Magic. Gray reveals how he was found by Ur and Lyon ten years ago after his hometown was destroyed by Deliora. 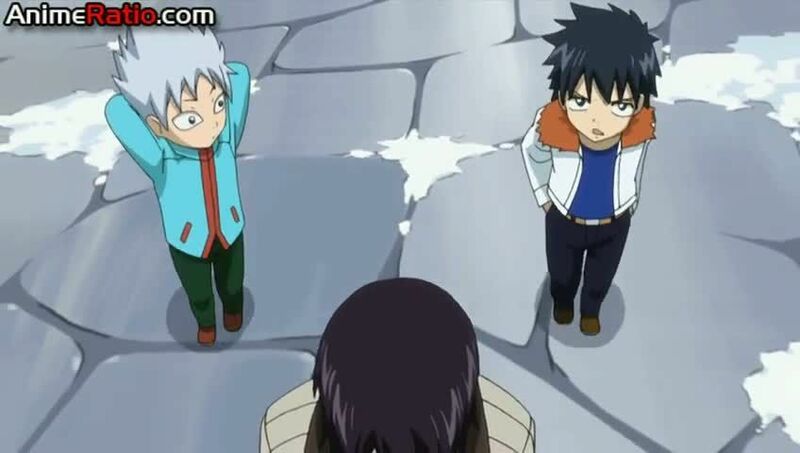 Seeking revenge against the demon, Gray became Ur’s student to learn magic in order to defeat it. When Deliora reappeared, however, Ur sealed Deliora using Iced Shell, a spell that transformed her body into ice to freeze Deliora. Although Ur remains alive in this form, she had Gray tell Lyon that she had died in the hopes that he wouldn’t spend his life trying to return her to normal, sparking Lyon’s grudge against Gray.